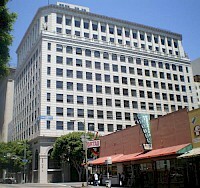 Board of Trade Building is a historic building in Downtown Los Angeles that was opened in 1929. Located at the northwest corner of Main Street and Seventh Street, the building was designed by Claud Beelman and Alexander Curlett in the Beaux Arts style with Neoclassical influence. The building was listed in the National Register of Historic Places in 2008 and is one of more than ten Claud Beelman buildings included in the National Register. 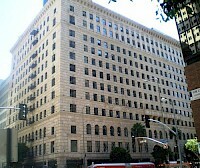 The Roosevelt Building is a highrise building in Downtown Los Angeles built in 1926. It was designed by Claude Beelman and Alexander Curlett in a Renaissance Revival style. It was later converted to lofts. 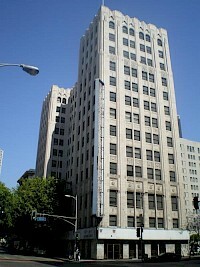 In 2007, the building was listed on the National Register of Historic Places.